This year has been full of successful things like finishing my final thesis about analog summing, graduating from Tampere University of Applied Sciences, winning Shure remix competition and a lot of other things. This time I thought of writing something about the winning remix of Shure’s Snow Patrol remix competition. So here I will go through some stuff, that I did with the remix. So, I really never even thought of doing anything else than a rock remix. The workflow with the remix started from finding the right tempo and doing a simple drum loop over it with some self-recorded and other drum samples. The song is quite long, slow and ambient, so I started cutting pieces out until it started to sound like late 80’s or early 90’s rock music on its own. Then I took my guitar and started thinking about the chord progressions and find out it was really typical for a rock song. I then decided not to overthink it and just started recording the guitars piece by piece. Then I took bass guitar and recorded it. Didn’t even bother editing it and one of the brainfart bass fills failed miserably, “but what the hell, it’s rock ‘n roll, baby yeah“. Plug and play. 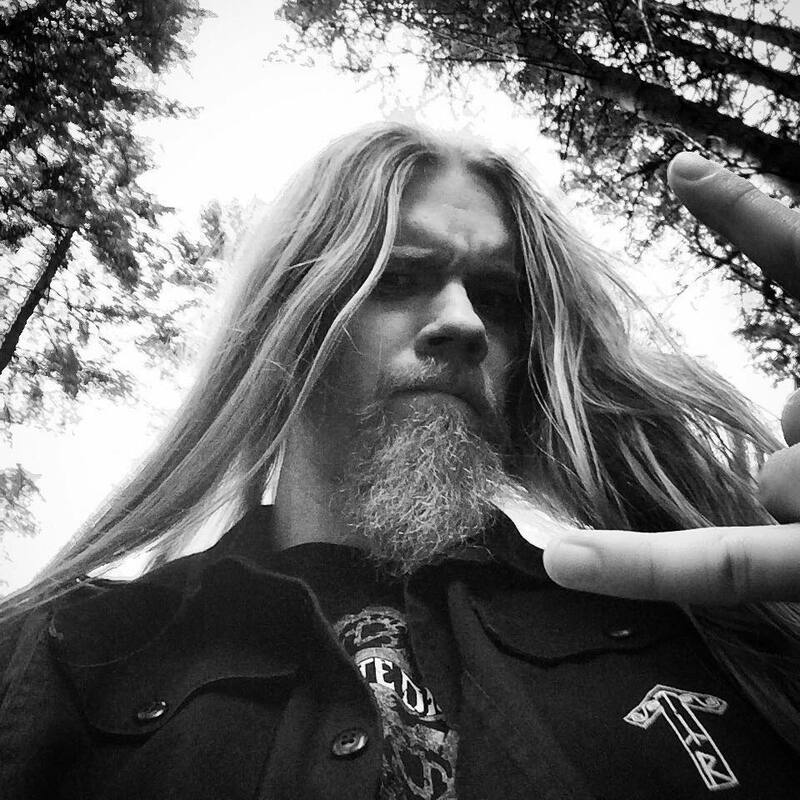 The outro of the song is quite massive to begin with so I left it mostly untouched and just made it a little more massive like a stadium rock band would sound like. 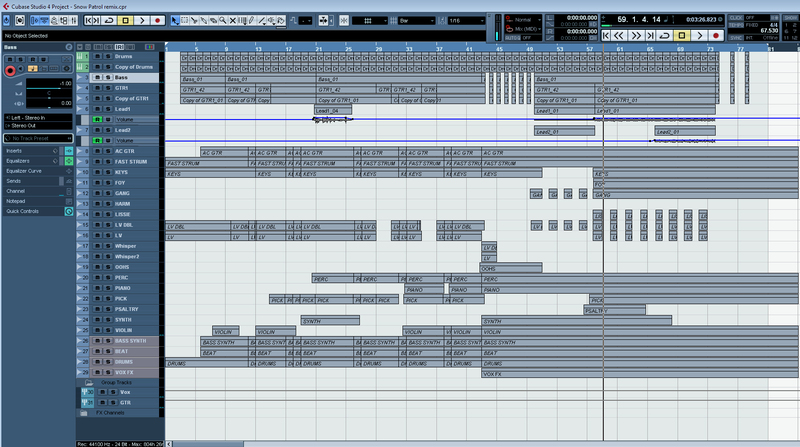 Screen capture of the Cubase edit window. The remix didn’t need much mixing. In fact the sounds were pretty much right from the start. Some moderate compression and equalizing did the trick. The guitar I used to record the remix guitars. The guitar signal chain was completely “in the box” using a chorus into a modeled Marshall-kind of virtual amplifier by Lepou Plugins into a impulse response plugin for cabinet simulation. 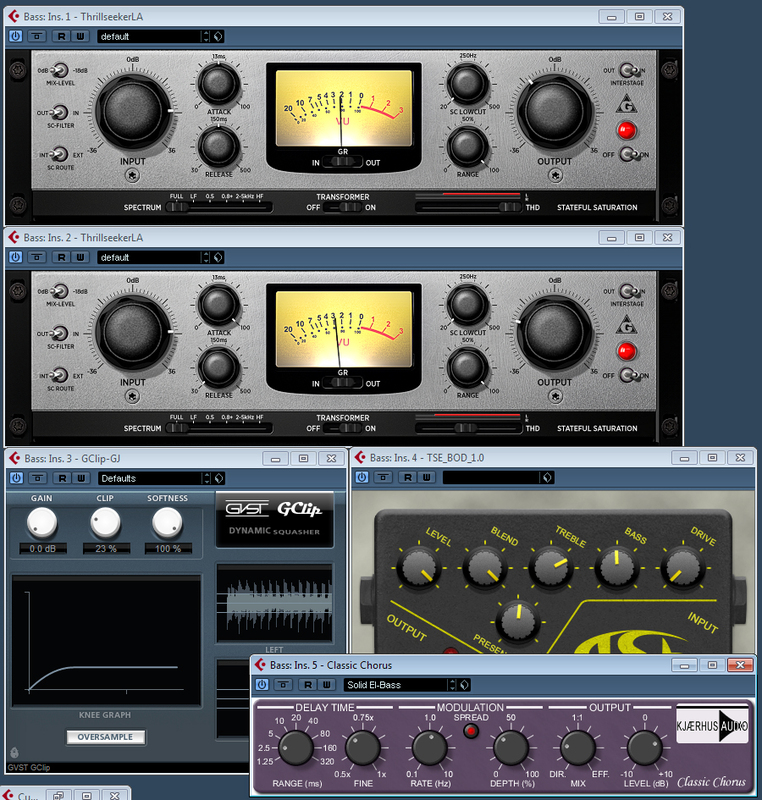 Variety of Sound ThrillseekerLA and Cubase stock equalizer. The sound comes from the samples and the programming. The vocal sound was very good to begin with, but I added some extra reverb and compression to make it blend with the mix better. Other elements didn’t need any other than some equalizing, level automation and some stereo delay. Stereo Bus Compression was done with Variety of Sound Density-plugin. Here’s the whole mastering chain for the remix. Some clipper to tame some sharp transients. 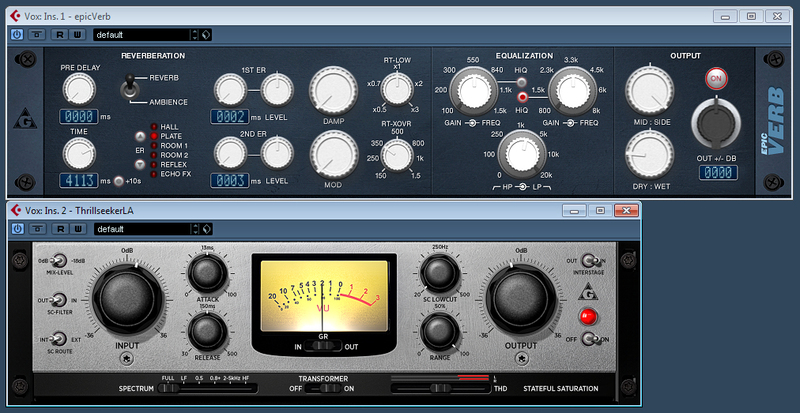 Mild compression and equalizing. Bass enhancer for some deep bass sounds and low end compression. 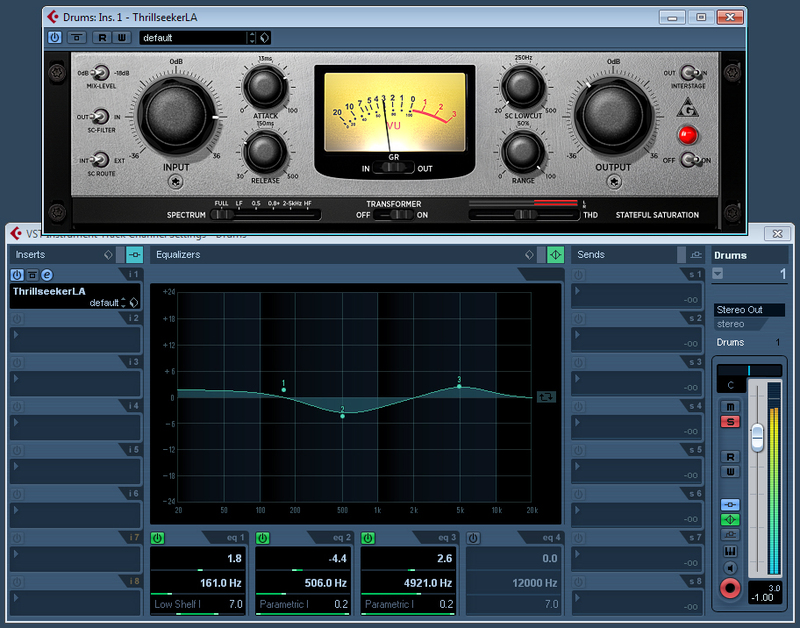 Tape emulation for some extra loudness and peak compression before hitting the final master limiter – Voxengo Elephant for finalizing the remix.